Guest blogger Tomas Bilbao is Executive Director of the Cuba Study Group with which the Center for Financial Inclusion has collaborated. Bilbao shares his strongly held views on how efforts to reverse positive policy changes announced by the Obama Administration in April of 2009 would hurt the budding entrepreneurial class in Cuba and would represent an obstacle to needed change. For over 50 years, US policy toward Cuba has had the single aim of isolating Cuba from the outside world and forcing the collapse of the island nation’s economy in hopes of bringing about regime change. Other than a small, vocal group in Miami and Washington, the rest of the world now acknowledges the obvious truth that US policy has been a categorical failure. It is less often recognized, however, that US policy may actually have made change on the island less likely. An amendment last week proposed by Florida Rep. Mario Diaz-Balart, a longtime defender of the status quo in US policy toward Cuba, is the most recent evidence of this fact. Last week, Rep. Diaz-Balart introduced an amendment to the FY2012 appropriations bill, which, if signed into law, would roll back the positive steps taken by President Obama to allow Cuban-Americans to travel and send money to their families in Cuba. “The changes [implemented by the Obama Administration] have been the largest source of revenue of [Castro’s] dictatorship,” stated Rep. Diaz-Balart. Rep. Diaz-Balart’s statement to the Miami Herald reflects a profound disconnect with the realities on the ground inside Cuba as well as human disconnect regarding the impact of these policies on Cuban families both on the island and in the diaspora. 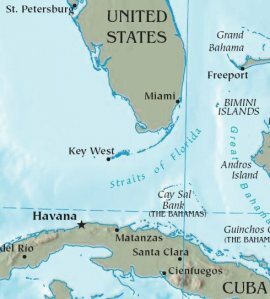 According to recent reports, over 350,000 Cuban Americans traveled to the island in 2010, most of whom are constituents of Rep. Diaz-Balart. Estimates suggest that remittances and goods sent to Cuba in 2010 by Cuban Americans under the regulations implemented by President Obama (which allowed unlimited family travel and remittances) totaled approximately one billion US dollars. Putting aside for a moment the moral and ethical arguments (as well as the Universal Declaration of Human Rights) in favor of allowing family members to visit and support each other, there are very good arguments as to how these activities can help ordinary Cubans take greater control of their lives through economic empowerment. At the time President Obama announced these new regulations in April 2009, Cuba’s new president, Raul Castro, had begun a national dialogue about the need for “structural changes” to Cuba’s economic model in response to the severe crisis created by the government’s failed socialist model. Since then, Cuba has undergone its most profound economic reforms in 50 years including authorizing over 150 categories of self-employment. In the months since the announcement, Cuba reports it has issued over 200,000 licenses to entrepreneurs. While these new entrepreneurs face a number of obstacles created by Cuba’s bureaucracy including high taxes, the lack of wholesale markets, limitations on the authorized categories of self-employment and many others, Cuba’s cities are now blossoming with private businesses including restaurants, bed and breakfasts and all kinds of new and used consumer goods kiosks. Given the severe lack of capital and credit in Cuba, most of these businesses depend on family remittances and travel by family members to stock shelves, acquire the necessary equipment and capitalize themselves. Rep. Diaz-Balart’s amendment comes at a time when Cuba’s civil society is uniquely positioned for the first time in 50 years to reduce its dependence on the Cuban government and to empower itself through entrepreneurship. Microfinance institutions work tirelessly to raise capital and deploy national networks to offer credit to entrepreneurs throughout Latin America, and in Africa, India, China and nearly every country of the world. While the Cuba Study Group has long championed the concept of microfinance in Cuba (a concept we introduced in a 2006 white paper), we recognize that the power of family remittances and travel are a powerful, direct and cost-effective way to spark entrepreneurship in Cuba in the short term. The small businesses that have been born out of these family links hold the promise of a better future for many Cubans. While we acknowledge that remittances and small business growth alone cannot resolve Cuba’s many economic and political problems, it is clear that they represent hope for thousands of Cuban families. In order to encourage the promising transformation now underway, US policymakers must acknowledge not just the failures of maintaining the status quo in US policy toward Cuba, but also the important role that economic empowerment can play in fundamentally transforming Cuba’s civil society. Travel by Cuban Americans to visit and assist family has contributed to empowering Cuba’s civil society and has enabled ordinary Cubans to create independent businesses. Congress would do well to look beyond Cuba to the worldwide experience of microfinance, for example, for answers on how to bring about real change on the island.